Chem-Dry Four Seasons is independently owned and operated by Sergio Marroquin. Since 2008 we have been serving both residential and commercial customers throughout Snohomish County, Washington with top-quality carpet and upholstery cleaning services. As a local company, we treat our customers like friends – because they are. Excellent customer service and superior results are what we strive to deliver every single day. We will delight our customers with the cleanest and fastest drying carpets and upholstery in the industry. Our products will be expertly applied so as to be gentle on carpets and property, non-toxic for people and pets, and our services will be delivered by trustworthy, friendly professionals. Not only do we provide quality services but we want you to trust our process. Our technician will take you step by step through our process so that you can be just as confident as we are. Back in the 1970’s Robert Harris worked for another carpet cleaning company as he attended law school. Displeased with the performance of the available cleaning products, Harris began to look for a better way to clean carpets. This led to years of intense study of the chemical properties and reactions of a variety of cleaning formulas, along with experimentation to find the best cleaning formula possible. Eventually, Robert Harris, discovered his ideal cleaning formula. His unique carbonated solution delivered exceptional cleaning and was also safe and non-toxic. Harris founded Chem-Dry and before long the demand for his superior cleaning services grew exponentially. His entrepreneurial journey evolved into a thriving success that has continued to grow since those first days in the early 70’s. 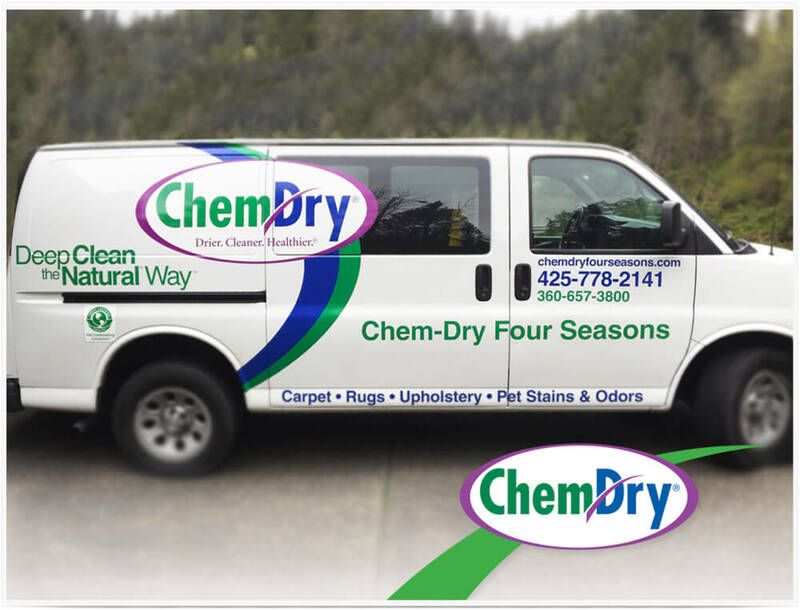 From the very first small group of franchise locations, the original Chem-Dry network has grown over recent decades to offer thousands of successful franchises throughout the world, including Chem-Dry Four Seasons right here in Edmonds, WA.